WASHINGTON — Olympic gold medalist Greg Louganis on Friday urged American Olympians to dedicate their performances at February’s Winter Games in Sochi to their gay friends and relatives as a means of protest against Russian anti-gay laws. 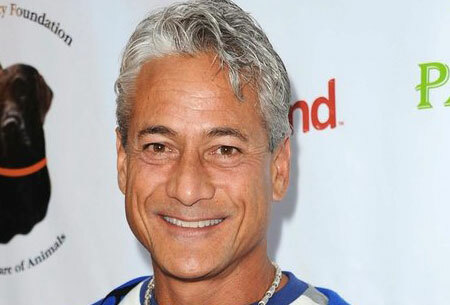 Louganis, who is openly gay, reaffirmed his position against a boycott of the Sochi Games at a Capitol Hill briefing of the House LGBT Equality Caucus hosted by U.S. Rep. David Cicilline (D-R.I.) and Human Rights First, an international human rights organization based in New York and Washington, according to USA Today. Louganis, who won four Olympic gold medals for diving in 1984 and 1988, and who in 1980 was a member of the U.S. Olympic team that boycotted the Moscow Games, acknowledged that his position against boycotting the Sochi games has angered some in the LGBT community. But, he said, he believes a boycott would “hurt the wrong people,” referring to athletes who have dedicated their lives to competing in the Olympics. Louganis said he thinks athletes should publicly thank gay friends and relatives who have supported them in their road to the Olympics, instead of wearing pride pins or participating in public demonstrations. Later in the day, Louganis told the Washington Blade that he disagreed with gay MSNBC anchor Thomas Roberts and singer Elton John’s decisions to host the Miss Universe 2013 pageant and perform in Russia.